PORTER RANCH, Calif. /California Newswire/ — Members of the local media are invited to attend hearing by Calif. Assemblyman Mike Gatto’s (D-Glendale) Utilities and Commerce Committee questioning Southern California Gas Company and the California Public Utilities Commission over the Aliso Canyon gas leak. The hearing will feature witness testimony and public comment. Gatto’s committee will be tasked with hearing all legislative proposals relating to the gas leak. 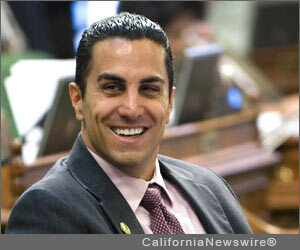 WHEN: Thursday, January 21, 2016; 5:00 p.m.
WHY: On December 29, Assemblyman Mike Gatto (D-Glendale) was appointed chairman of the Assembly’s influential Utilities and Commerce Committee, overseeing legislation that regulates public utilities, natural gas, energy (including renewable energy), common carriers, entities like Uber/Lyft, and general commerce in the state. With thousands of residents displaced due to the gas leak in Aliso Canyon, Assemblyman Gatto is bringing Sacramento to Porter Ranch by holding this hearing in the community to discuss the leak with So. Cal. Gas officials. The committee will also seek comments from the residents of the community.